Do Shorter Sentences Hit Home Harder? Crafting sentences is an art. We don’t always think in sentences. Putting thoughts straight to paper usually results in stream-of-consciousness. It’s way easier to loose a reader that way. Keep your readers. Write shorter sentences. Let’s look at the contrast. Virginia Woolf is the master of stream-of-consciousness. But her writing exists in a medium drastically different from the business writer’s. As a result, she gets a pass. Everything else about her writing is so enthralling that we award her with artistic license. 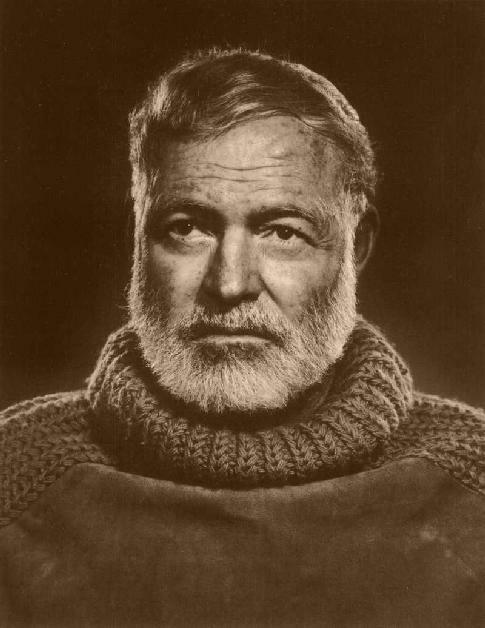 Hemingway, on the other hand, was a breath of fresh air for readers. His prose made it nearly impossible for readers to miss the point. And that’s one reason he’s lauded as one of the greatest storytellers of all time. You don’t want to mix emotions up with a wine like that because you lose the taste. This isn’t the original quote. But what if it had been? Worse yet, what if Hemingway wrote the entire book in that style? You don’t want to mix emotions up with a wine like that. You lose the taste. Clearly, this is a cause-and-effect statement. But consider how much more impact the thought has when the concepts are separated by a stop. For professional writers, long sentences are usually the result of combining multiple thoughts. In good literature, to contrast, we excuse long sentences. Exhaustive description is usually the culprit in lengthy diatribes. But your audience probably won’t read your writing for fun. They want the point. Short sentences lead to clearer points. The. End.